At Route22 we think it’s important to stay up to date with technology and maintain links with the people and organisations who know most about it. In the case of WordPress, there is no better way to achieve this than by attending the excellent WordPress community conferences known as Wordcamps. WordCamps Take place annually in many cities around the world, are run by volunteers and are approved by the WordPress Foundation so each event, though unique follows some basic guidelines and standards. Sponsorships and donations make it possible to keep ticket prices low, usually around £30 for a 2-day event. Despite the low cost of entry, it’s not uncommon to meet WordCamp speakers who are leading experts and celebrities within the web industry. 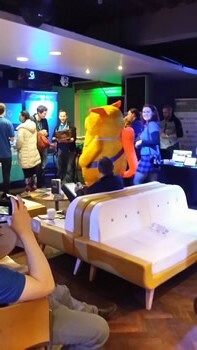 Last weekend Route22’s Paul Hooper attended WordCamp London 2016 and here is his report of the event. 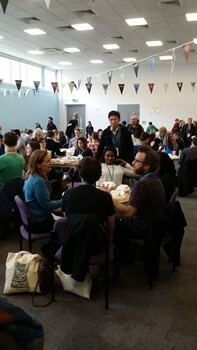 This year’s WordCamp London took place at the same venue as last year, the London Metropolitan University. As usual for a WordCamp, this was a whole weekend event with the usual features of lectures, sponsors’ stands and a “happiness bar”. For this WordCamp, there were three ‘tracks’ with a total of thirty eight lectures in all. I arrived a little late for the start on Saturday morning so, rather than sneak in late to one of the first lectures, I opted to grab a coffee and a crossaint and do the rounds of the many web hosting companies sponsoring this event and find out about their differences and relative merits, while starting to build a collection of t-shirts, pens and other merchandise. Even without all the excellent freebies, this was still a very productive exercise, as all of the hosting providers had clear differences in approach and offer different advantages and disadvantages. Every one of them had something to offer and I could see myself using any of them if the client and the specific requirements merited it. For my first lecture, I chose “You might not need a CSS Framework” by Belén Albeza. This was an excellent lecture, although I did have a little difficulty with Belén’s Spanish accent. This was not a problem as the quite amazing stenographers type what she was saying to a large screen in realtime, and they appeared far better tuned in to Belén’s accent. She did make an excellent case though for avoiding the unnecessary code bloat that is inevitable with css framework libraries, and for the improved maintainability if you have hand written just the css code that is essential for your site’s needs. After more coffee and pastries, I selected “How I Learnt to Stop Using Icon Fonts and Love SVG” by Sarah Semark. This was a very interesting talk about something I have started including in my websites quite recently. SVG stands for Scalable Vector Graphics, which is a format for relatively simple graphics that shrink and grow within the space made available to them with no loss of quality. This makes them ideal for responsive websites that display equally well on smartphones and large plasma screens. These images are created with a scripting language, not entirely dissimilar to html, so the code can be written semantically, which is great for accessibility. Off to lunch, an amazing spread of sandwiches, somosas, fritatas, goujons, cous cous, soup, etc. etc. I was tempted to jump the queue by claiming to be vegan. The vegan food alone was a wonderful range of tasties. A WordCamp is always a very friendly place and I ended up chatting over lunch with two of the presenters: Corinne Welsh and Katie Fenn and another chap, whose name I didn’t catch but was half Syrian half Pole and thought that well written code was a very beautiful thing. After lunch I checked out all the facilities that the organisers had laid on. Well, not quite all of them. I skipped the creche and the lactation room, but I did call in on the lovely folk in the happiness bar. Sadly, I was unable to attend the afternoon session as my love of Crystal Palace #cpfc exceeds even my feelings for WordPress. So I was to miss Katie’s talk, which I would certainly have liked to see, on “Debugging your code with Chrome Dev tools”. Still, Palace won for the first time this year in the Premiership, so it was worth the miss. I’m looking forward to seeing the video of this talk when it becomes available. I also sadly missed the after party. I went to this last year and it was superb (some free beer too 🙂 ). Late again on Sunday so I missed the first lectures. Time for a coffee and a chat with some more sponsors and to grab some more freebies. “7 Tips On Getting Your Theme Approved The First Time” by Dmitry Mayorov was a great first lecture for Sunday morning. Then more coffee and muffins. “My First Child Theme” by Corinne Welsh followed on naturally from the previous lecture and provided much very useful information very clearly. Lunchtime again. Sat outside in the uni courtyard this time as it was such a nice day. Thought it would be sheltered but it was pretty windy for a courtyard. Explains why so few other joined me outside. “User Experience: it’s for everyone” was the lecture for the “graveyard slot” but despite its timing, combined with the admission by Ross Wintle that this was his first go at presenting at a WordCamp, this was a bright, entertaining and informative session with lots of practical tips and discussion about the psychology of visitors. 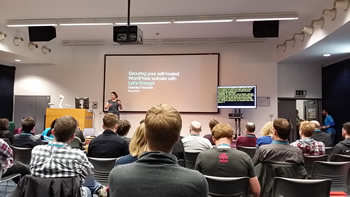 For the first time this weekend I was tempted away from the main lecture hall for the next session and, grabbing a coffee enroute, I made the journey to the Henry Thomas Room where Soledad Penadés gave the talk “Securing your self-hosted WordPress website with Let’s Encrypt”. This was enlightening and showed the risks of accessing websites and how https and encryption were replacing the present unencrypted http access that currently predominates. 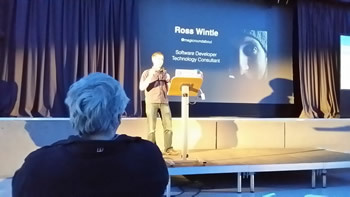 For the final session of the weekend, it was back to the main lecture hall, calling in for cakes, scones, strawberries and cream and a cup of tea on the way, for “Turbo Speed your WordPress Website”. 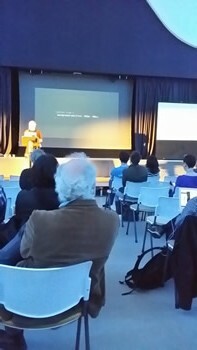 A nice, practical and very useful talk by Mike Pead. 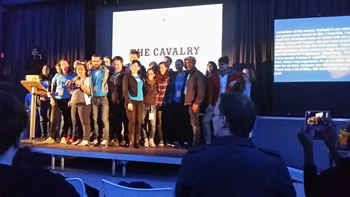 During the Closing Remarks WordCamp London 2016 organiser, the amazing Jenny Wong, thanked all the contributors, enjoyed banter with the audience, and sent us all on our way happy. Can I wait a whole year until WordCamp London 2017, or will I weaken and get tickets for WordCamp Brighton 2016 in July? Who knows?